The Clinic-Chek is a multi-scale clinical refractometer ideally suited for the medical clinic, laboratory, and for athletic/wrestling hydration measurement. Three measurements scales in one model allows more flexibility and cost savings to you. The Clinic-Chek is more accurate than hydrometers and test strips. 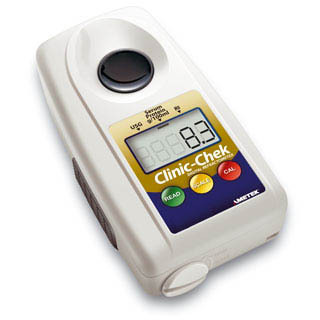 The Clinic-Chek is easy to operate and provides quick results. Its LCD digital display is easy to read and removes the subjectivity of shadow line interpretation across a small scale used in conventional handheld refractometers. Reading errors are eliminated with this easy-to-use clinical refractometer. 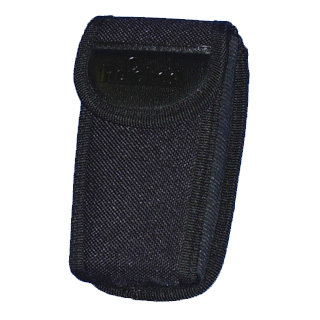 Durable storage case included - Optional holster available.